Mexico’s leading resort operator and tourism developer, Grupo Vidanta, has signed an exclusive partnership with global hospitality company Hakkasan Group to invest $150 million into new concept beach clubs, nightlife venues, restaurants and hotels at Vidanta Resorts, located in Mexico’s most coveted beach destinations. The strategic partnership is a direct result of the recent state visit to the Middle East, where Grupo Vidanta’s founder Daniel Chávez Morán and Hakkasan Group began discussing the potential for new hospitality ventures in the country. The collaboration will bring Hakkasan Group’s world-leading lifestyle entertainment concepts to Mexico for the first time, enhancing the country’s diverse tourism offering. A long-term commitment, the partnership will first see three brand new concepts open in the second half of 2017, including two restaurants and a beach club at Vidanta Los Cabos in San Jose del Cabo. The beach club will offer an extravagant daylife experience and will evolve into a club-restaurant-cabaret by night. 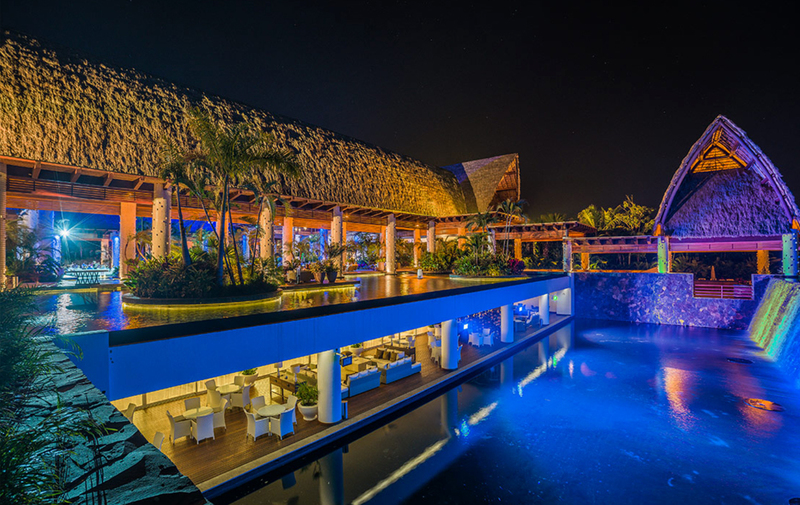 Over the course of the subsequent five years, Hakkasan Group will introduce a new venue at a different Vidanta property each year, as well as a brand new hotel with Grupo Vidanta. Grupo Vidanta is constantly expanding to introduce innovative entertainment experiences and destination attractions to key regions across Mexico. This includes forging partnerships with some of the world’s most renowned brands, one example being Vidanta’s collaboration with Cirque du Soleil to create JOYÀ. “Our latest collaboration with the world-renowned Hakkasan Group further exemplifies our long-term vision and ongoing commitment to progressing the growth of tourism in Mexico and evolving the Vidanta brand,” said Iván Chávez, Executive Vice President of Grupo Vidanta. Founded in the UK, Hakkasan Group is headquartered in Las Vegas with over 50 establishments across the US, Europe, Middle East, and Asia. 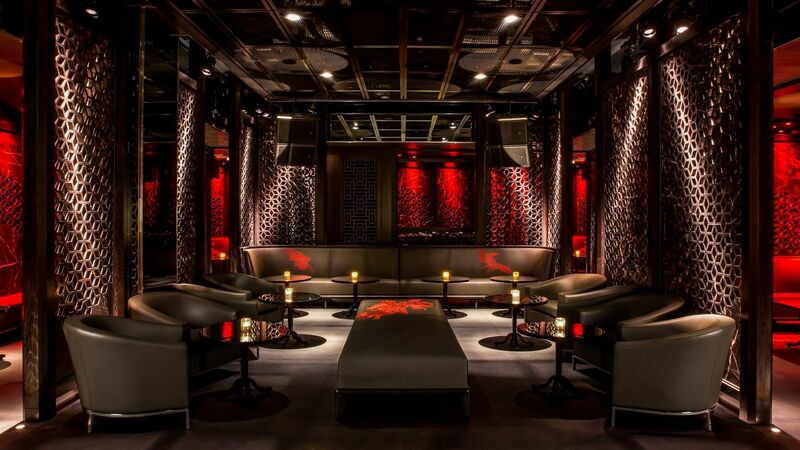 Its stable of brands includes restaurants Hakkasan, Yauatcha, HKK, Sake no Hana, Herringbone, Searsucker and nightclub / day club brand Omnia; which is part of the Group’s diversification into a full-suite hospitality company offering both day and nightlife premium services to guests. Founded in 1974 by the tourism industry’s leading visionary, Daniel Chávez Morán, Grupo Vidanta is the preeminent developer and resort operator in Mexico and Latin America specializing in vacation destinations, luxury hotel brands, golf courses, real estate, tourism infrastructure and entertainment. The company owns and operates multiple properties in Mexico’s most sought-after beach destinations including Nuevo Vallarta, Riviera Maya, Los Cabos, Acapulco, Puerto Peñasco, Puerto Vallarta, and Mazatlán. Vidanta’s portfolio is also comprised of six distinct resort hotel brands – Grand Luxxe, The Grand Bliss, The Grand Mayan, The Bliss, Mayan Palace, and Sea Garden. From AAA Five Diamond award-winning hotels to an internationally recognized collection of golf courses throughout Mexico, Grupo Vidanta continually pioneers innovative partnerships, including collaborations with Cirque du Soleil to create JOYÀ (a first-of-its kind experience in Riviera Maya); Nicklaus Designs to develop three renowned Jack Nicklaus golf courses; and Greg Norman Golf Course Design to debut the newest pro course in the collection at Nuevo Vallarta. In addition to being the largest golf course developer in Mexico, Grupo Vidanta has also developedMexico’s first privately built and owned airport in Puerto Peñsaco. Frequently named among the “Best Companies to Work for in Mexico,” Vidanta maintains a strong commitment to its 15,000 employees, and surrounding communities, through its progressive mission dedicated to environmental and philanthropic efforts, including its long-established non-profit foundations, Fundación Vidanta and Fundación Delia Morán. Hakkasan Group is a worldwide hospitality company with establishments located across the United States, Europe, Middle East, and Asia. Its name is taken from its Michelin star restaurant that set the high-level standard for the group’s collection of diverse brands. Its ‘brand first’ philosophy builds restaurant, nightlife, and daylife into world-class lifestyle brands, all with a focus on service, design, innovation, and experience.